360 Vision Technology’s Predator stars on the silver screen! 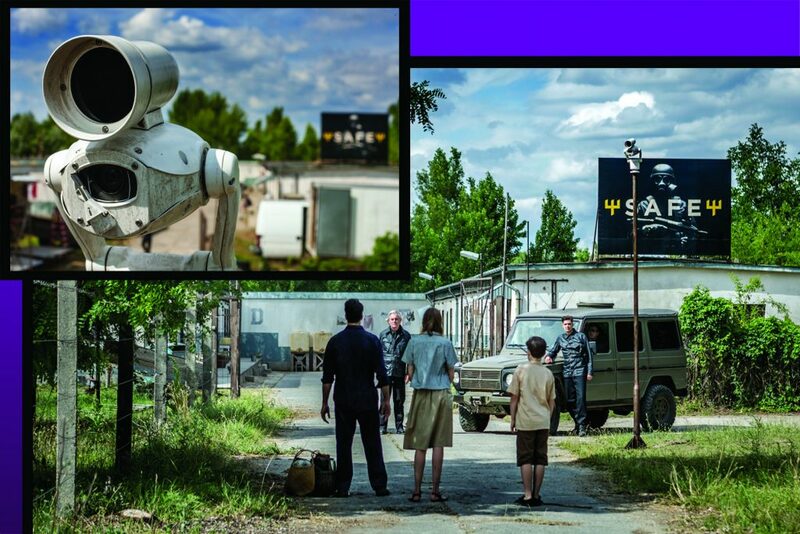 UK CCTV design and manufacturing company, 360 Vision Technology, is celebrating a starring role for its Predator ‘all-in-one’ PTZ camera range in THE WHITE KING, the acclaimed feature film coming to UK cinemas on 27th January 2017 from Signature Entertainment. Based on the award-winning novel by György Dragomán, the THE WHITE KING was nominated for the Michael Powell Award for Best British Feature Film at the Edinburgh International Film Festival, before having its international premiere in Tallinn Black Nights Film Festival’s First Feature Competition. A compelling sci-fi drama featuring Jonathan Pryce, Agyness Deyn and Lorenzo Allchurch, the film is set in a dystopian world and evolves around a 12-year old boy who is coming to terms with his father’s imprisonment by a totalitarian state. The film follows the young boy and his mother as they try to navigate through propaganda and government abuse, as they risk everything to reunite their family. Shot on location in Hungary, 360 Vision supplied the filmmakers with black and white colour versions of the Predator camera, camera control equipment, and provided training for the film’s production staff on how to operate the cameras.